According to Article 15 of Indonesian Investment Act and Article 7 (c) of the Badan Koordinasi Penanaman Modal (BKPM) Regulation No. 7/2018, each investor has an obligation to submit Investment Activity Report (Laporan Kegiatan Penanaman Modal or LKPM) periodically. The LKPM is a periodical report every 3 months. This report will be submitted to Badan Koordinasi Penanaman Modal or BKPM). LKPM consist the data concerning the development of investment realization, and the problems faced by investors. LKPM Period Report start from the date of issuance of the business permit. The investor must submit LKPM quarterly on January, April, July and October. Quarterly one, is to report data of January-March. In this quarterly one, every investor must submit LKPM Report no later than 10th April. After quarterly one, quarterly two will be start at April-June. The submission of quarterly two is on 10th June. After submit quarterly two, the investor have to done quarterly three that will be start at July-September, and must be reported no later than 10th October. And the last quarterly will be start at October-December, and must be reported no later than 10th January on the next year. LKPM can be done by online system. 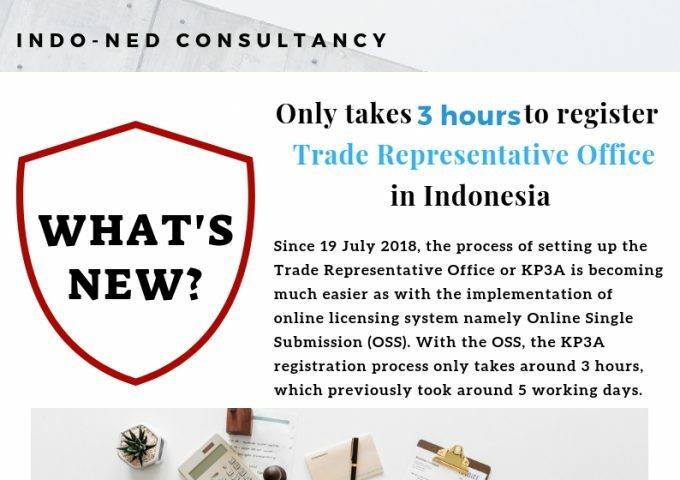 This LKPM Online System can be accessed using the same access rights (username and password) as the Online Licensing System (Sistem Pelayanan Informasi dan Perizinan Investasi Secara Elektronik or SPIPISE). For further information about LKPM can be access through online government public service. More detail information about the LKPM, Indo-Ned Consultancy also provide service to prepare the LKPM report for your company. Kindly visit our website at www.indo-ned.com or visit our office at Graha Mobilekom 1st Floor Saleh Raya No. 53, Menteng, Central Jakarta or our office in Bali at PM 1, Jl. Patih Jelantik, Kompleks Comercial Istana Kuta Galeria, Badung 80361 or just contact us by phone at our hotline number +62 21 314 56 14.